The OSHCR (Occupational Safety and Health Consultants Register) warns UK businesses of five risks in 2018 that could damage their workforce and business. The introduction of automated intelligence in workplaces may cause an increase in anxiety at work and mental health conditions. The fear of losing your job to a robot has been a popular topic in the news this year, and this potential threat to employees may contribute to a rise in workplace stress and anxiety. Hiring remote and freelance employees will become increasingly popular in 2018 with the ability to hire a remote employee who can work from anywhere in the world via the internet. However, problems may arise when remote or freelance employees pop in and out of the office without being properly briefed in regards to health and safety procedures. Digital and tech based careers are big business and this sector will continue to grow in 2018. Yet this office based career may be cause for concern. Poor eyesight and obesity are two of the main healthcare concerns. Long working hours spent staring at a computer screen can cause damage to the eyes as we strain to focus on work without sufficient breaks. A screen or laptop that has not been set up to comply with health and safety standards may cause neck and muscles strain along with repetitive strain disorder. Careers that involve minimal movement can lead to an unhealthy lifestyle and teamed with a poor diet, obesity. In late 2017 and early 2018, Aussie flu took the UK by storm with a significant increase in cases of flu. Flu can quickly spread in a busy workplace and some healthcare professionals are warning about antibiotic resistance, where a growing number of infections become harder to treat with antibiotics. Infections can include pneumonia, tuberculosis, gonorrhoea and flu. Using automation and in particular machines in the workplace can help speed up production and increase revenue for a business, but anyone who is responsible or in contact with such equipment must be fully trained on how to operate the machine without considerable risk of injury. 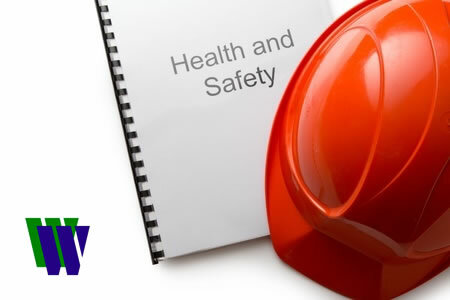 OSHCR warns of the potential risk to the health and safety of employees when training is not properly in place.